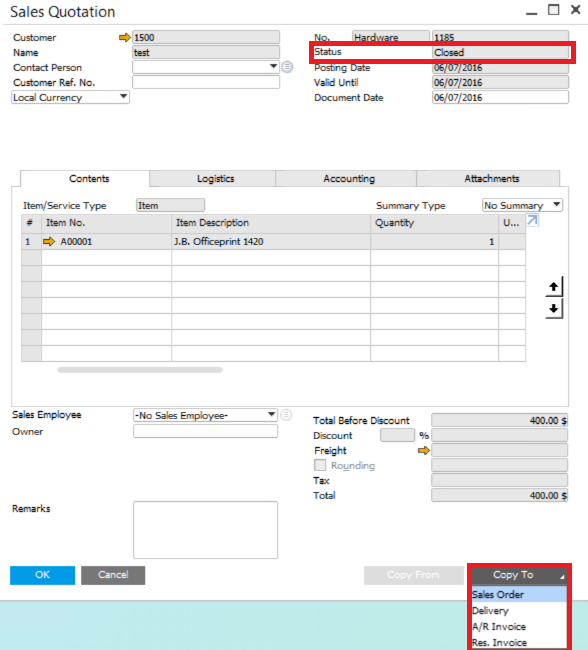 After you create a Sales Order in SAP Business One, the correspond Sales Quotation will be closed automatically. 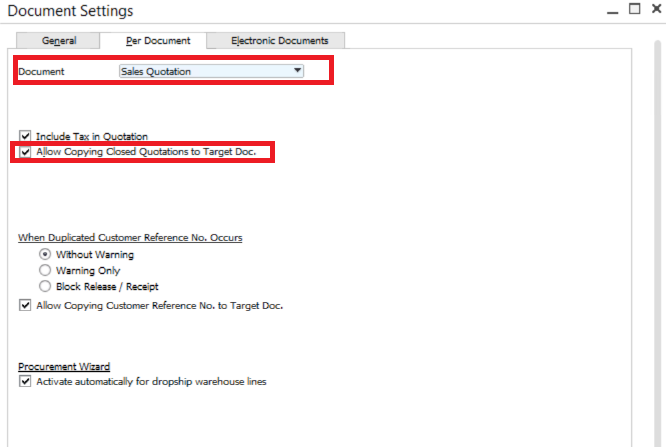 What if the Sales Quotation can be used in another document, such as Sales Order, Deliver, A\R Invoice, and directly copy the document will save plenty of time? Find that the Copy To bottom is not available? You may need to set up it at first in SAP Business One. 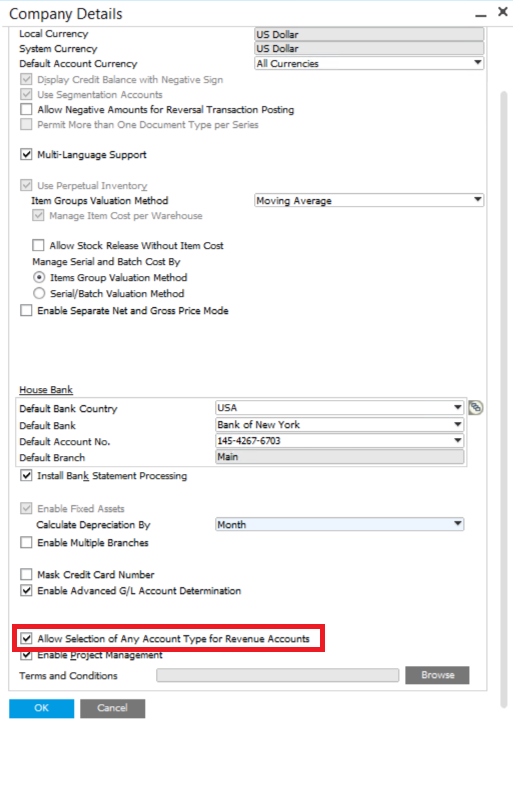 Go to Administration > System Initialization > Document Settings > Per Document and select Document Sales Quotation. Click “Allow Copying Closed Quotation to Target Dec.”. 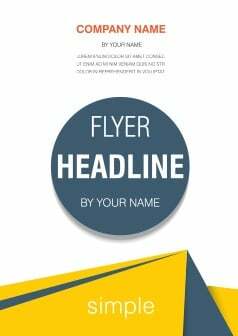 Then you may go to the Sales Quotation and copy it to the document.